Blue Razz E-Juice by Twisted Sour makes a tarty twist on a classic fruit flavor that will quickly have you thinking why you haven't tried it before after your first puff. It offers the taste of mystical blue raspberries that are both ripe and juicy. That is then followed by their classic burst of sour flavor that will have your mouth watering for more every time. Twisted Sour carefully crafts this liquid using the finest and freshest USP/Kosher grade ingredients around. In every bottle their is a 70/30 VG PG ratio for the huge vapor to match it's delicious flavor. 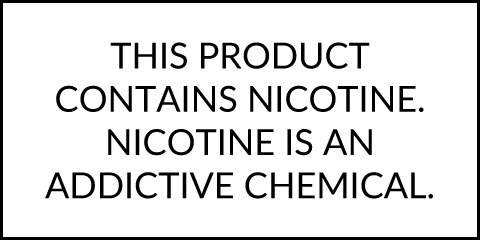 Pick it up and try it out for yourself in a variety of nicotine strength options and a huge 100mL child-resistant PET bottle.